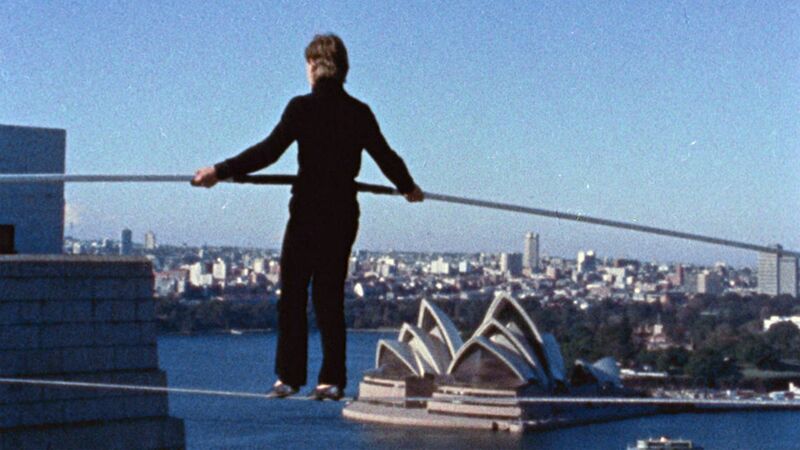 James Marsh's dazzling, invigorating documentary MAN ON WIRE tells the story of a truly inspiring figure. 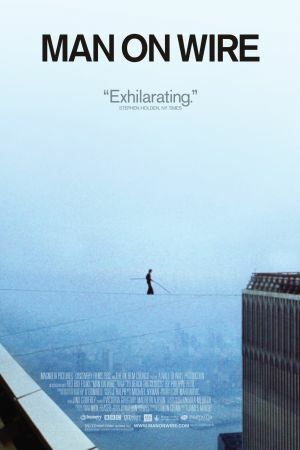 In the early 1970s, a fiery young Frenchman named Philippe Petit wanted to shake up the world. When he saw the World Trade Center being built in New York City, he found his mission. Petit was a trained high wire walker, and his goal was to set up a wire between the two towers and give the world a show it could never have expected. As is often the case with these endeavors, the actual high-wire walking was the easiest part of the plan. For nearly seven years, Petit worked on the project, recruiting associates who supported him every step of the way. Finally, after eight months in New York, the day came when Petit and his cronies jumped into action. This wasn't easy. They had to find a way to sneak past security and make their way to the top of the towers with heavy equipment, at which point they had to battle the elements to install the wire. After many close scares, the time came for Petit to realize his dream--and the rest, as they say, is history. Marsh crafts MAN ON WIRE like a heist film, presenting rare and fascinating footage of the actual event alongside flawless reenactments and modern-day interviews with the participants. The result is an immersive, emotionally gratifying motion picture, made all the more stimulating by Michael Nyman's electrifying score.